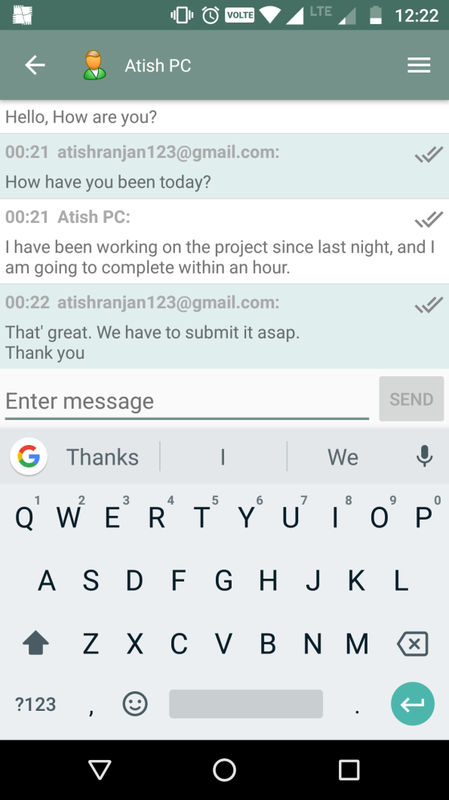 Softros LAN Messenger is an IM application that allows you to chat using a standalone application within a network without the need of the Internet. Chatting is something every one of us does when we want to connect with our friends, colleagues, and family. 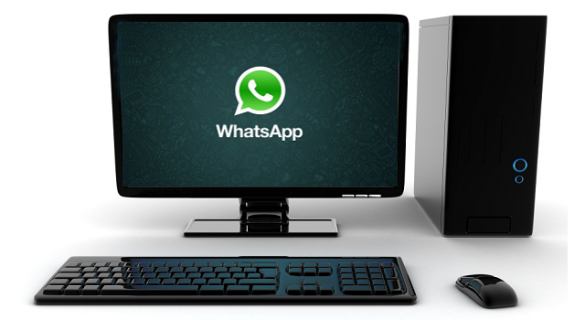 Generally, we use internet-based chat messengers such as WhatsApp, Skype, Facebook Messenger, Google Hangout, etc. But when it comes to office work, most chat messengers are blocked because employees use them to chat with their friends, and that hampers office work. What happens is, they start talking to someone within the office using any messenger and then start talking to someone else, which hampers their work. This is a general thing in offices. But technology has the answer to everything nowadays. Softros, a software company, has designed a LAN Messenger that can be installed on every PC within a Local network, and then users can chat with each other without the need for internet. Even if you have set up a Wi-Fi router at your home and all your devices such as Desktop computer, Phone, laptop, etc. are connected to it, then you can install this LAN messenger on each and chatting can be done from each device. However, this is great for intra-office communication because it doesn’t need internet, so there are no issues about data leak or getting the chats hacked by some hackers. No information goes outside since the communication doesn’t travel through the internet. Everything is done on the computers that are connected in a local area network. No server set up is required. The computers are only connected to each other through LAN Cables. 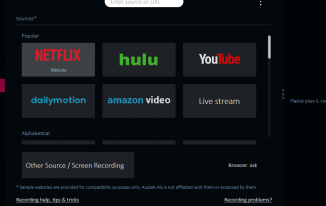 I connected my devices to a LAN network and tried to use the software on my laptop and the app on my Android phone. I installed it on both. When I launched the messenger on both devices, they showed available users are there. I mean, on PC, it showed my phone as an available user, and on phone, it showed my PC as an available user. It can show as per the name you set. By default, it shows my phone name as my email id. See the screenshot of my communication from mobile to laptop. The above image is the screenshot of my laptop window of this LAN messenger, and below is that of my phone. Since the communication doesn’t need the internet, it is quite quick and secure. Let’s take a look at its features. 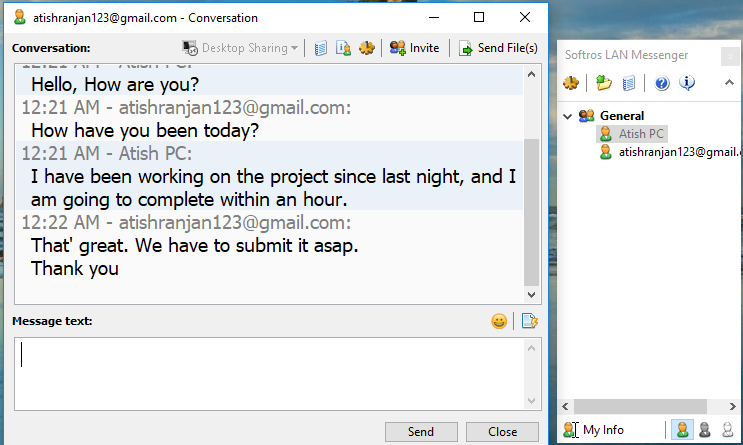 If multiple computers are connected to a LAN, you can install this messenger on each of them, and chat with each other without the need for an internet connection. Moreover, even if there is internet connected, it will work as usual. But even in that case, systems must be connected to the same network. Since there is no need for the internet, it can be very helpful if your office is too big, and you frequently need to talk to your colleagues who are sitting a bit far from you. When you use Softros LAN messenger, you don’t need to set up a server for processing the messaging requests. 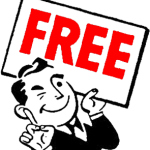 This messenger is a peer-to-peer-based IM tool that doesn’t need any server. So, things are easy since you just need to install and use without any setup. Within your company, since chatting is done within the local intranet using this LAN messenger, there is a big security concern that the chats and files exchange are not going to the outer world but they stay within the company’s local intranet only. Also, all the communication you do using this messenger are encrypted with AES-256. Apart from this, when you use Softros LAN messenger within your company, you indirectly discourage your employees from chatting with people outside of the company while at work. Apart from individual chats, you can create a group and add your colleagues to that group and talk to them. This works great when you and a few of your colleagues are working on one project. Then you can just create a group and add those in that. And then you can talk to them just by sending a message in the group rather than sending a message to everyone individually. 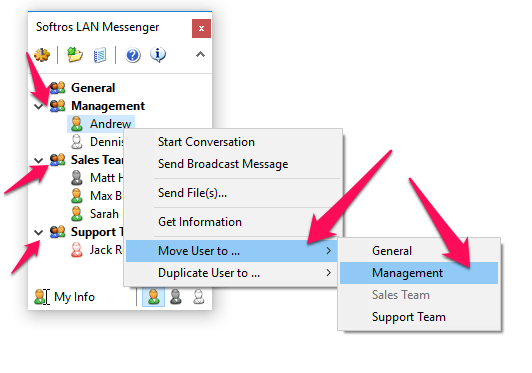 Even if some of your colleagues have their computers turned off, you can still send them a message through this LAN messenger, which will be delivered to them when they turn on their computer and open the messenger. You can create user groups in this messenger to keep the users organized. Since there are many departments in a company, you can keep your office co-workers in different groups. For example, you can put the ones in the management department into the “management” group. 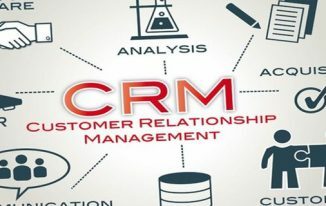 You can add the employees who are part of the sales team into the “Sales” group and so on. You can also move a user to another group. 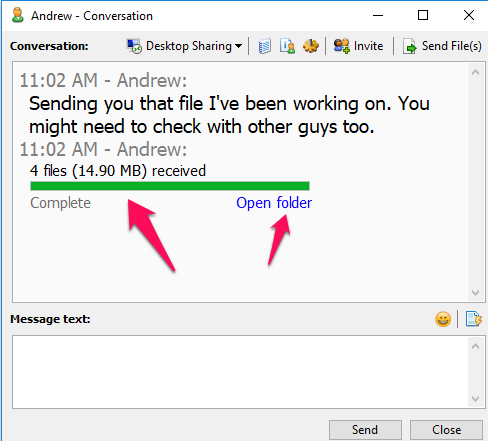 While chatting, when there is a need to show some screenshots or files, you can easily send it over. Since the data is shared within the network, and there is no internet involved, the file transfer is very quick due to no internet traffic. 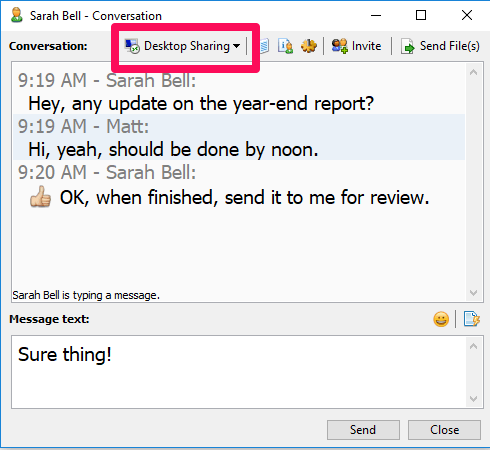 While chatting, if you need access to your colleague’s computer, you can use the Remote Desktop Sharing option and access your colleague’s desktop. This helps if you have to give some technical support to your colleague or help with something that you cannot explain on chat but can show him to let him understand. It has full support for Citrix and Microsoft terminal services. 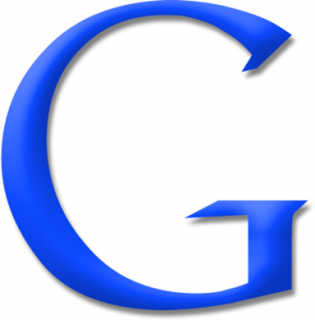 It has support for Active Directory and domain, as well as LAN, WAN, VPN, and VLAN. Softros LAN Messenger is your best bet if you want to keep communication within the company secure without the need for server setup. There is more security and privacy for the messaging data since the communication happens within the company and doesn’t go over the internet. If you are running a company and don’t want your employees to use any internet-based chat messenger since they might misuse it to chat with their friends, then use this LAN messenger that works only within your company. As already mentioned earlier in this blog post that communication can be done among only those devices that are connected to the same LAN, this is quite good for a company. If you have any questions regarding Softros LAN Messenger, do ask in the comments.